Young man playing a ball game, perhaps episkyros, on the base of a grave marker from ca. 510 BC. Athens, National Archaeological Museum. Tonight, millions of people all over the world will be watching the final match of the 2014 Football (or Soccer) World Cup. Whatever one might think about the nature of such mega-events, including their commercial and media-driven aspects, it appears to be the case that the spectacle of two teams of (relatively) young men pitching their skill and fitness against each other exerts a powerful appeal on a great many people. The same can, of course, be said for many other sporting events. Relief showing athletes training in the palaistra, with two wrestlers at centre and a long jumper at the back left. Ca. 510 BC, National Archaeological Museum Athens (Image: N. Karamaouna). That fascination with sporting prowess goes back a long way – in fact, we come across its early ancestry on many of our tours in Turkey, Greece and Italy. The simple idea of two or more humans competing to find out who runs the fastest, jumps the highest, throws an object for the farthest distance, and so on, must have had its beginnings at some unidentifiable point far back in the mists of time. We have no idea when such contests became formalised, but there is ample pictorial evidence for the practice of defined sporting activities in the prehistoric periods, e.g. in Egypt, in Minoan Crete and among other Bronze Age civilisations. 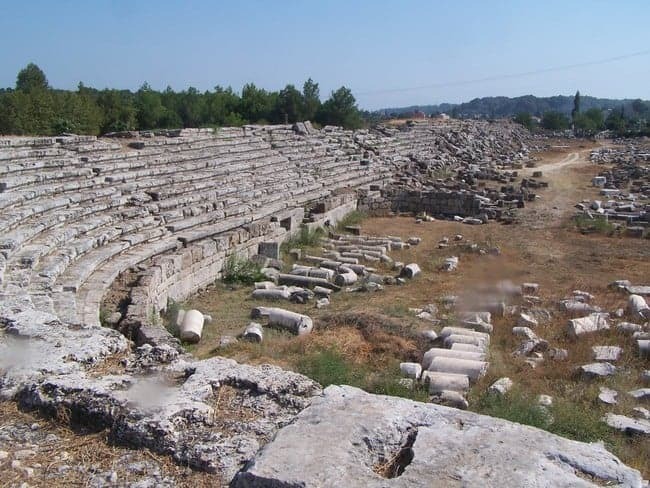 The remarkably well-preserved Hellenistic stadium at Perge (Turkey). 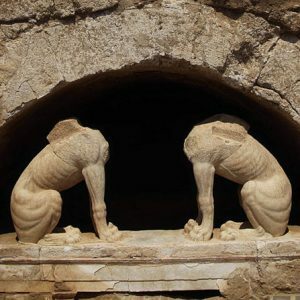 But it can certainly be argued that the concepts of competitive sports and more broadly of athleticism truly came into their own in ancient Greece. 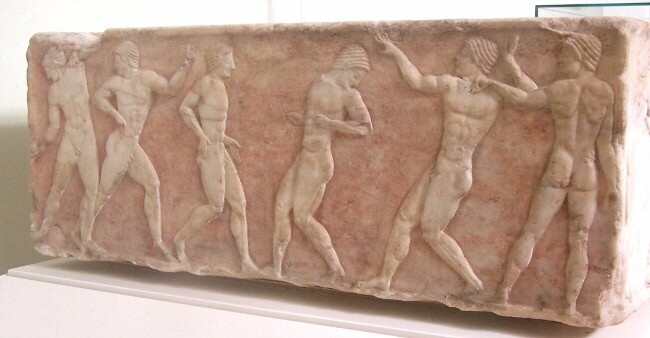 When that most distinctly Greek form of political organisation, the polis or city-state, was developing during the Archaic period (8th to 6th centuries BC), physical fitness and athletic training became a central factor in the education of young men. This was not a random obsession – it was those same young men, first of the aristocracy, later the entire citizenry, whose task it was to defend their city during wartime; their ability to do so was literally vital to the survival of the polis. Athletic contests began to be formalised and organised, usually in the context of religious festivals. Beyond such competitions within a city-state, so called pan-Hellenic (“all-Greek”) events were instituted, most famous among the games in honour of Zeus that took place at Olympia, according to tradition since 776 BC, every four years – the same interval that has inspired that of the modern Olympics and indeed the World Cup. The especially beautiful ancient stadium at Nemea (Peloponnese, Greece). Other such festivals took place at Nemea (also honouring Zeus), Delphi (for Apollo) and Isthmia near Corinth (for Poseidon). Here, athletes chosen to represent states all over the Greek World, from Southern France and Italy via Mainland Greece and the Islands to the shores of Asia Minor and beyond, competed in various “track and field” events in front of large audiences. Not unlike today, victory bestowed great glory on the athlete himself, but also on his home state. Some athletes gained lasting fame, and occasionally a followership comparable to modern fans. In this cultural context, the athlete, the trained young man active in various sports, became an ideal, considered exemplary of human achievement at its best. 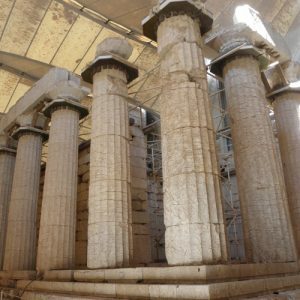 That ideal actually survived the era of the city-state itself and became widespread throughout the Hellenistic World. The image of the athlete was an omnipresent motif in Greek art, depicted in form of large and small-scale statues, innumerable relief sculptures, but also in vase and fresco painting throughout the Greek world. Thus, we come across visual references to sports and athleticism in virtually every museum and exhibit we visit on our tours, primarily through art and occasionally through athletic accoutrements found in graves, especially of young men. 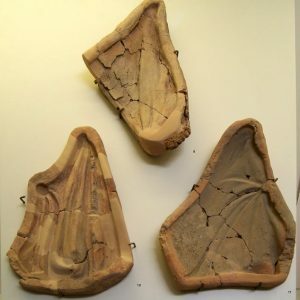 A famous piece: Fragments of a marble lekythos from Piraeus. Once marking a grave, it depicts a young man exercising with a ball in a surprisingly familiar-looking fashion. 4th century BC, National Museum, Athens. Beyond that, we also visit the very venues of athleticism. The most famous, soon to feature on one of our new tours, is Olympia itself, with its venerable but simple earthen stadium and its enormous gymnasium, a colonnade-enclosed courtyard where runners, jumpers, discus-throwers (etc) exercised, and its fine palaistra, the building dedicated to the training and instruction of boxers, wrestlers and so on. 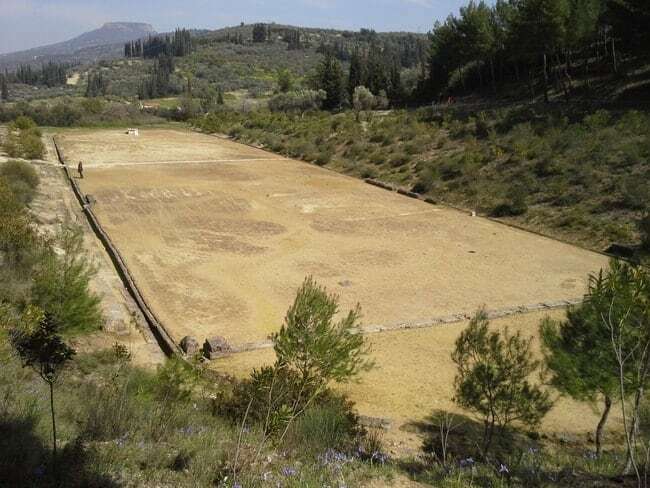 But such structures are certainly not exclusive to Olympia: We see grand ancient stadiums at Ephesus, Perge and Arykanda in Turkey, or at Athens, Messene, Nemea and Rhodes in Greece. Gymnasia and palaistras are even more common, making an appearance at nearly every organised settlement, from Morgantina on Sicily or Pompeii by the Gulf of Naples, via the Greek mainland and islands like Amorgos or Kos, to small and large cities in Turkey, among them Miletus and Priene. What about team sports and ball games? Although both were not part of the formal and canonical athletic contests, they certainly existed. Balls of various types and sizes were certainly used in training, as indicated by written references as well as imagery. 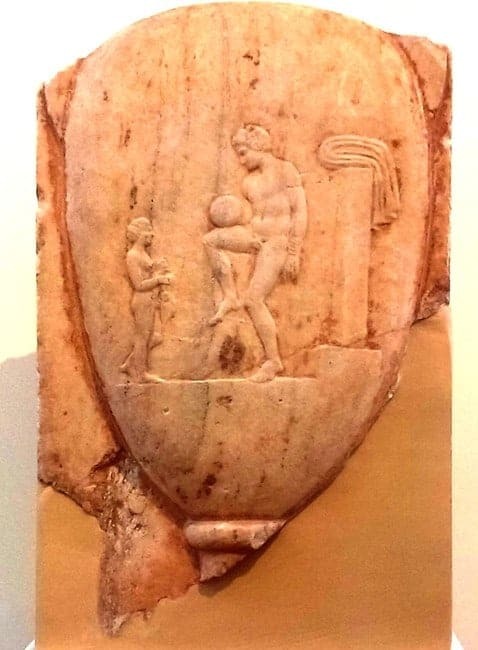 There also were a number of team sports played with balls, one of which, Episkyros, is sometimes considered a direct ancestor of modern football in its different varieties. Although we know little about it, it appears to have been played on a marked pitch divided in two halves, each team trying to get the ball into its own half. Especially popular in Sparta, it also seems to have been quite physical, perhaps comparable to modern Rugby Football. The Romans played a ball-game called Harpastum, which was probably a variation of Episkyros. So, whether you are cheering for either team at tomorrow’s match or not, the event itself and the passion surrounding it do have their ancient precedents – some of which you can experience on our expert-led tours and cruises.